By buying this product you can collect up to 709 loyalty points. Your cart will total 709 points that can be converted into a voucher of Rs. 70.90. Rajat Bhasma is a bhasma form or purified silver.Also called Roupya Bhasma, Chandi Bhasma. 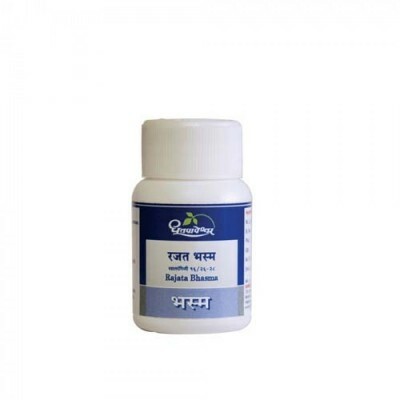 It relieves burning sensation, used in treating memory loss, dizziness, excessive thirst, diabetes, Cachexia, Tissue wasting, Urinary disorders, Alcoholism, Poisoning, Fever, Uterine disorder, Epilepsy. 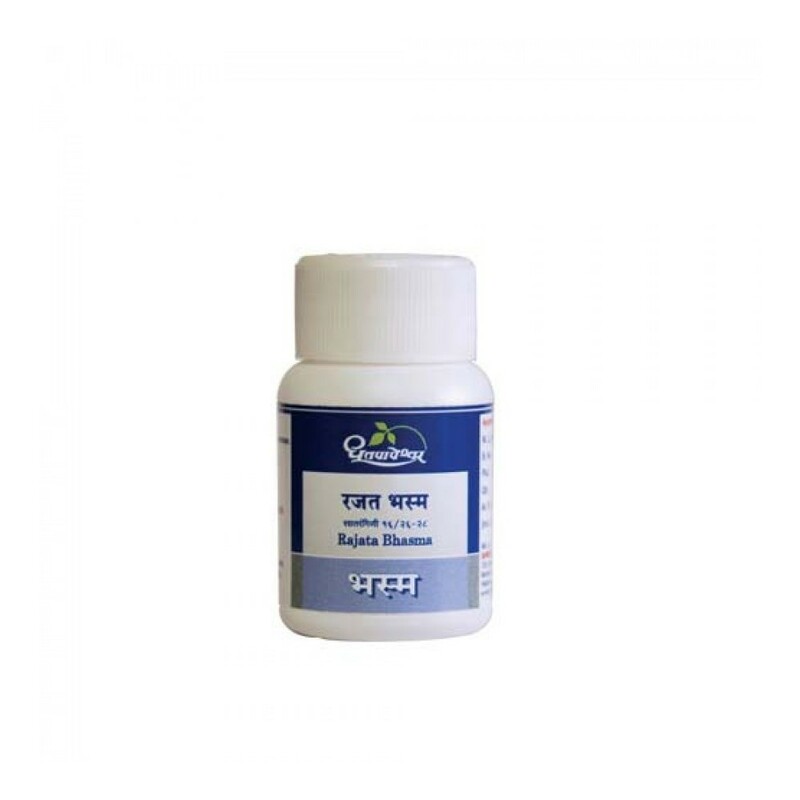 125 mg once or twice a day before or after food or as directed by Ayurvedic doctor. Over-dosage may cause severe side effects.so preferably take only under prescription.